We learned about earth’s magnetosphere. It comes from the outer core and protects us from solar winds that blow particles at the earth. Our magnetosphere blocks the particles except for sometimes it doesn’t. Then the particles get into our atmosphere and make light shows called auroras (by Joel,7). Thanks, Oma! Hi to all the cousins! Miss you! I love learning new things from you guys! I’m planning to show my kiddos your cool FFs soon! Have you all seen the neat Moody Science Classics DVDs? We love them! Thanks, Shannon! We will definitely check out the Moody series. Sounds like something my husband could use for his Jr. High class, too. Hi Cousins – – we have been reading your blog. We also saw the Festival of lights and looked up the history of it (actually Grandma did). Today we are going to church. Hi from all of us! Jonah, McKay and Tobias (Elsie is still sleeping). Aloha back at you, cousins! I learn more here than I did in science class at school! Thanks Uncle Jody! More to come tomorrow! 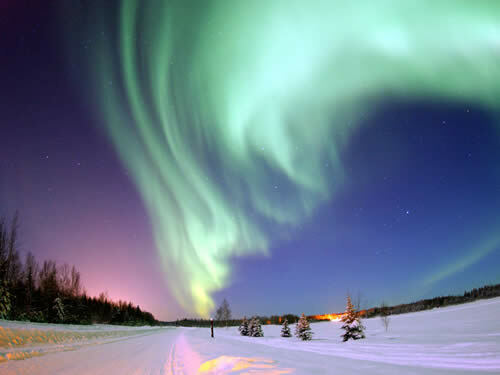 BOYS, did you know the Aurora Borealis is caused by solar wind particles becoming trapped in the earth’s magnetic field and are funneled toward magnetic poles? Then they collide with molecules in the atmosphere near the poles. This creates a beautiful sight. Joel says he wants to move to Alaska some day so he can see the Aurora all the time. In school, I am learning about what you guys are learning. I am enjoying astronomy. I liked learning about what you guys are learning and I really enjoy it. Did you know the magnetosphere is not perfectly round like a real doughnut? Instead, it is bunched up on the side that faces toward the sun and stretched out on the side that faces away from the sun. We did not know that, Mariah! Thanks for the cool Factoid! This is cool. The magnetosphere kind of looks like a spider. Would you want to see that in real life? We say YES but Mom says NO. She thinks anything spidery is gross. This is so cool. 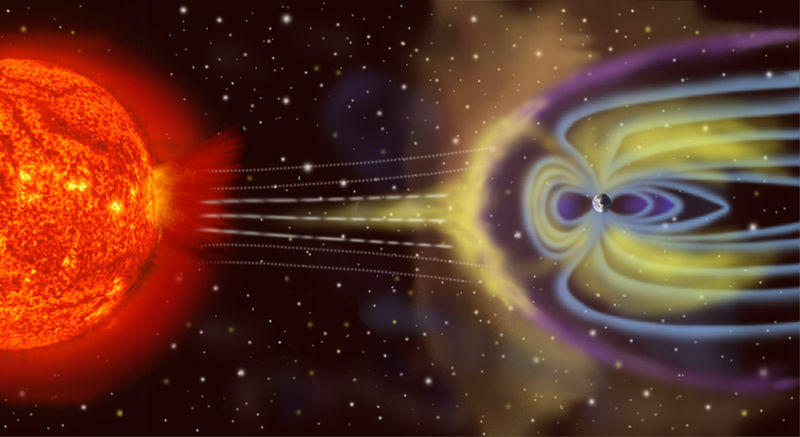 We also have learned in school that the region of space affected by the earth’s magnetic field is called the magnetosphere. There is also solar wind. Solar- wind is harmful particals that flow constantly in space . If it were not for the magnetosphere these potentially harmful particals would enter our atmosphere. Thank you God for the magnetosphere! He thought of everything, didn’t He! There are auroras in Finland up north by the pole. but i never got too see one of them. I really hope I could see one when I go visit Finland again. Have you ever seen a real life auroras with your own eyes chilluns? God’s creations are so beautiful. We really want to see the Auroras, too. Venus and Mercury must be very lonely not having any moons. And puny little Pluto got 5! We were learning about the earth’s magnetosphere in science. I really like learning about God”s creation in science. I’ll tell you a little about the earths magnetosphere, imagine an enormous invisible doughnut surrounding the earth, with the northern and southern magnetic poles sticking out of the hole. However the earths magnetosphere is not perfectly round like a real doughnut did you know that? instead it is bunched up on the side that faces toward the earth. Great illustration, Bryana! We all love doughnuts, even bunched up ones!